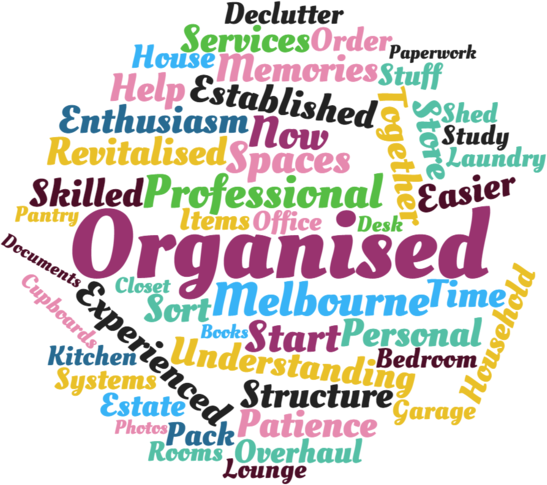 Organised Chaos offers packages designed to eliminate the clutter and chaos from your household, take control of your surroundings and restore order to your life. We pride ourselves on a providing a personalised service together with a professional, skilled and caring attitude. We listen to you and are sensitive to your needs. Organised Chaos offers a number of packages tailored to suit your needs. It doesn't matter what type of space you need assistance with, we will tackle almost any type of organising job you throw at us. See the table below for some some of the areas we can help with, and which package it matches. Whether your space is small or large, slightly disorganised or completely chaotic, we have a package to suit your needs. Our One Space package is 3 hours for just $250 - perfect for a single space that's gotten out of control. Don't put it off any longer, contact us now and allow us to help you tame that space and bring calm back into your life. The Room to Move package begins at 6 hours for $500 - this is often enough time to makeover one room. Picture yourself looking into that room with a smile, rather than shutting the door to hide the chaos. Don't delay any longer! Contact us now, and let us restore order and joy to a room in your life. Our New Start package is the ultimate in flexibility - exactly what you need when you are about to embark on a new start. 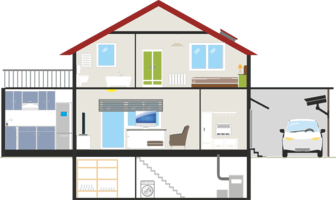 It could be just one 3 hour session, where we get you started on tips and tricks to make the whole process easier, to several sessions over a month to get you perfectly positioned to enjoy your new abode. Not sure which package is right for you? No need to worry, during the initial consultation, we'll talk about what you want to achieve, and give you an honest and realistic idea of how long it will take.